Acquiring a Master of Science in Nursing can help a nursing professional start down the path towards achieving a more advanced nursing role. Without being certified as a nurse practitioner in a discipline of nursing practice, graduates will face some limitations. Following the completion of a post-master’s nurse practitioner (NP) certificate program, educated nurses should have the opportunity to pursue the following nurse practitioner careers. Experienced nurse practitioners can combine their general knowledge of common nursing care techniques with health intervention methodologies in order to improve patient care in a healthcare setting. These methodologies range from advanced diagnosis to cutting-edge, evidence-based treatment strategies. Because of their advanced level of expertise, nurse practitioners earned a median annual salary of $107,460 in 2016. Better yet, the healthcare system also has a high demand for certified nurse practitioners, as the number of available nurse practitioner career positions is expected to grow by 31 percent through 2026. 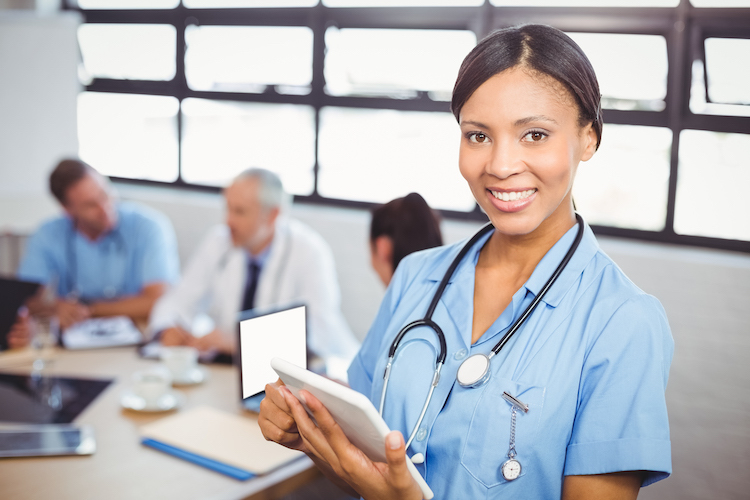 However, it is important to note that while a NP certificate may help a nurse grow professionally, additional training and/or certifications may be needed in order to achieve a more advanced nursing position. Families are often more comfortable when they can maintain consistency in who is allowed to care for their children. To this end, family nurse practitioners specialize in providing primary care to individuals of any age, male or female. This allows them to develop strong interpersonal relationships with their patients as they age, offering the potential for a higher quality of care. The care they administer is usually basic primary care, such as treating simple injuries, performing diagnostic tests, and prescribing medications. When their patients are experiencing more serious or chronic illnesses, however, family nurse practitioners may also find themselves responsible for helping patients develop more complex long-term care strategies. A family nurse practitioner is likely to find work in a hospital or private healthcare practice. Depending on a nurse’s state of residence and professional qualifications, some FNPs may also be allowed to run their own primary care practices, though physician supervision may still be required. This option is unique to family nurse practitioners, as other specialized nurses are not usually able to reach a level at which they are allowed to practice nearly independently. A majority of nurses will spend large portions of their careers administering treatments to adult patients. Adult-gerontology primary care certification takes this to the next level by preparing nurses to offer fundamental healthcare services to those patients. This includes caring for minor illnesses and injuries, as well as performing basic preventive medical procedures. Sometimes, an AGPCNP will also need to counsel patients on how to manage their acute or chronic illnesses. This kind of nurse must also know how to create strategies that suit the diverse needs of a wide range of adult patients. If an AGPCNP is a particularly good communicator, he or she can potentially find success working in nursing homes and long-term care facilities with elderly patients, which demands a thorough understanding of how to maintain a professional and polite bedside manner. Unlike AGPCNPs, AGACNPs provide immediate care specifically to adult patients who are suffering from acute illnesses and injuries. This means they are better equipped to provide emergency treatment to adult patients. This could involve performing rapid health assessments and stabilizing patients who enter acute treatment units, such as the emergency room. It could also mean monitoring a patient from the time he or she is admitted into the healthcare system to the point that the patient is discharged from a facility. As an AGACNP monitors this type of patient, he or she may need to decide whether the patient is ready for an outpatient setting. While they may be asked to order and perform diagnostic tests, AGACNPs are usually critical care providers. This oftentimes places them in very crowded work environments, such as trauma units and other acute care departments, which typically require a high tolerance for stress. The high pressure to perform in this type of workplace demands that nursing professionals who enter this field be able to stay on task, even while under a sizeable amount of pressure. Pediatric nurse practitioners specialize in caring for newborns, infants, and adolescents. Because certain diseases and injuries may affect children differently than adults, this requires a unique understanding of how medicine applies to young people. Through certification programs, nursing professionals can learn how to effectively administer and explain treatment processes to children. Some key responsibilities include teaching children how to properly take certain medications, as well as how to prevent illnesses from taking hold or worsening. This specialty also involves a significant level of emotional communication on behalf of the nurse. Because children are less capable of understanding the more intricate causes of their health issues, nurses must be able to communicate in a way that the child, and the child’s family, can actually understand. By enhancing their communication skills, pediatric nurse practitioners can improve the odds that they can provide their patients with a satisfactory healthcare experience. Pediatric nurse practitioners can find employment in hospitals, private practices, and even schools. Psychiatric health issues affect people of all ages. Although issues such as depression and anxiety may be common mental illnesses for registered nurses to encounter, more advanced illnesses require a heightened level of expertise. As such, psychiatric mental health nurse practitioners are taught how to manage many of the most prevalent mental health problems. Their comprehension of mental health is also expanded to a point that they can develop their own intervention strategies for such diseases. In mental health nurse practitioner certification programs, advancing nurses learn how they can help perform a variety of different therapies, including conversational, behavioral, and interpersonal therapies. Using these therapies, qualified nurses can help their colleagues treat common mental disorders. Most commonly, these professionals can find work in psychiatric facilities to provide assistance to patients who suffer from sexual addiction, substance abuse, specific phobias, and other disorders and conditions. Maryville University’s NP certificate program gives nurses with MSN degrees the tools they need to advance to nurse practitioner careers. Learn more about Maryville’s online Post-Master’s Nurse Certification Program here. See an overview of a typical nurse practitioner certificate curriculum here.